VUOI DIVENTARE UN OPINIONISTA IN TV? Compila il form, allega le tue foto e verrai ricontattato il prima possibile dalla nostra redazione. * Information and consent pursuant to Legislative Decree No. 196/2003 - Code regarding the protection of personal data Pursuant to and for the purposes of the provisions of Legislative Decree of June 30, 2003, No. 196 Code relating to protection of personal data (hereinafter the "Code"), we inform you that your personal data, supplied and / or acquired subsequently, will be processed by Corìma Srl, through electronic and manual instruments in compliance with the Code and current legislation on the subject of privacy. The collected data is processed only for the purpose of contacting a sample and inviting in transmission. We inform you that the provision of data is necessary for the specified purposes. Storage of data All the data acquired may not be used for purposes other than those indicated above and will be kept for the period strictly necessary to achieve them. Information and consent pursuant to Legislative Decree No. 196/2003 - Code regarding the protection of personal data Pursuant to and for the purposes of the provisions of Legislative Decree of June 30, 2003, No.  196 Protection Code of personal data (hereinafter the "Code"), we inform you that your personal data, supplied and / or acquired subsequently, will be processed by Corìma Srl, through electronic and manual instruments in compliance with the Code and the current privacy legislation . The collected data is processed only for the purpose of contacting a sample and inviting in transmission. We inform you that the provision of data is necessary for the specified purposes.